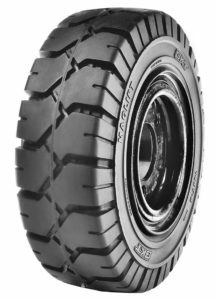 Agrigear Tyre and Wheel Specialists has recently added the Maglift non-marking forklift tyre range from BKT Tyres to its product porfolio. Maglift is a range of solid forklift tyres from BKT available in either Standard or LIP versions. Both versions are available in black, and in select sizes they are now also available in non-marking. 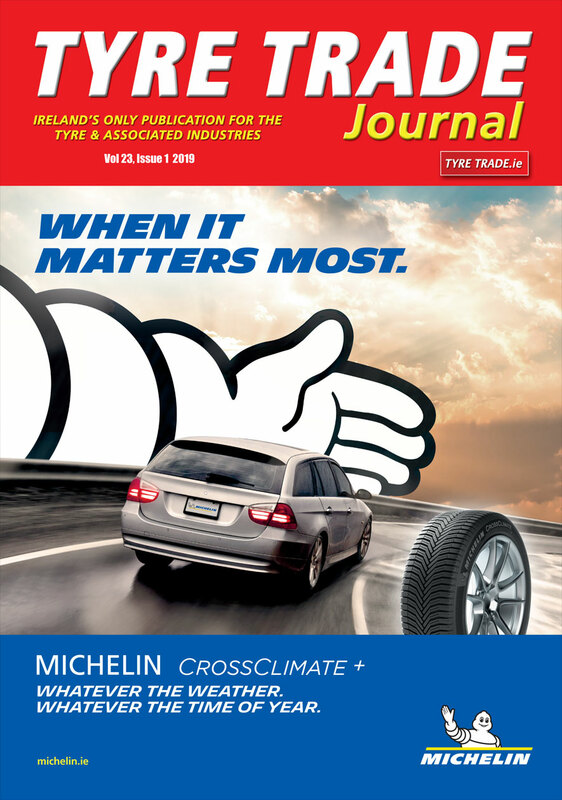 The tread design of both the Standard and LIP tyres is the same. However, LIP tyres differ in shape at the base. LIP tyres offer easier and quicker fitment. The special base design guarantees firm fitment on to the rim without any slippage, therefore eliminating the requirement of locking rings and flange rings. The Maglift solid tyre features high load capacity and is suitable for port, mining, scrap yard and general purpose forklift applications. Its reinforced structure eliminates slippage risks whilst the special bead shape simplifies the mounting operations on the rim. The highly cut, chip and wear resistant tread compound of the Maglift solid tyre ensures longer tyre life and the highly elastic cushion compound provides excellent riding comfort. Other forklift tyre options available are the Liftmax LM-81 (newly developed radial tyre range), as well as the PL-801, PL-846, FL-252 and Power TraxHD (all crossply options). In addition, BKT offers a range of larger tyre sizes available for use in mines and also for port applications such as reach stackers and other port handling equipment. Container King, Port King and Portmax PM93 tyres are all available in 25” rim diameter options. Agrigear supplies complete tyre and wheel assemblies when your existing tyres need replacement. A seamless service ensuring minimum downtime for customers, helping to keep costs low and productivity high. Have your wheels shot-blasted and re-painted to look as good as new. Damaged holes can be repaired and flanges replaced or straightened. Agrigear is the appointed Irish importer and distributor of BKT tyres throughout Ireland and offers a full technical backup service on all products. For more information or to find your nearest stockist, call Agrigear on 042-9666444 or visit www.agrigear.ie.